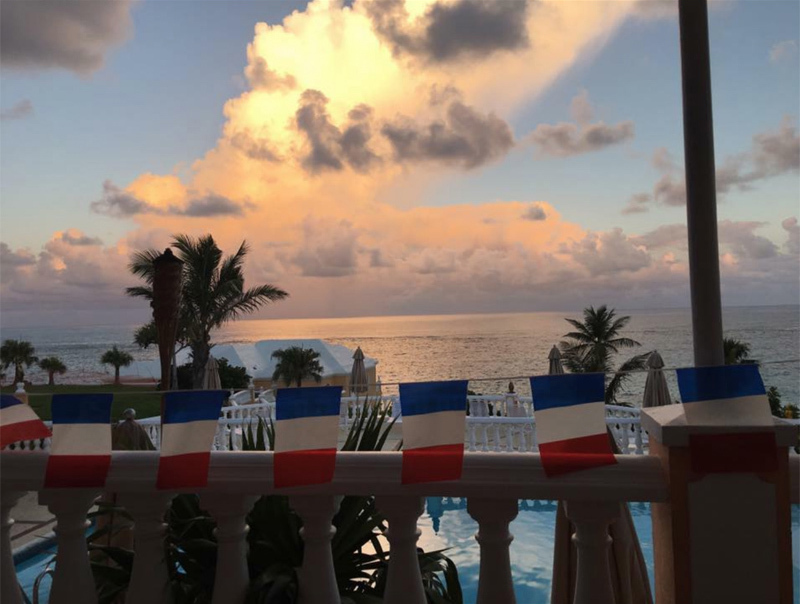 L’Alliance Francais des Bermudes is getting set to celebrate Bastille Day on Saturday, July 14 at the Fairmont Southampton. A spokesperson said, “While France’s World Cup football team is proceeding to the quarter finals, the members of the Alliance Francasie des Bermudes are busy preparing for a big 14 July celebration otherwise known as Bastille Day or ‘le quatorze juillet’. Ms. Gurret said, “Members of the Alliance Francaise are hoping for the same result of 1998 and for this quarter final members are encouraged to watch on Friday July 6th the game together at Robin Hood”. 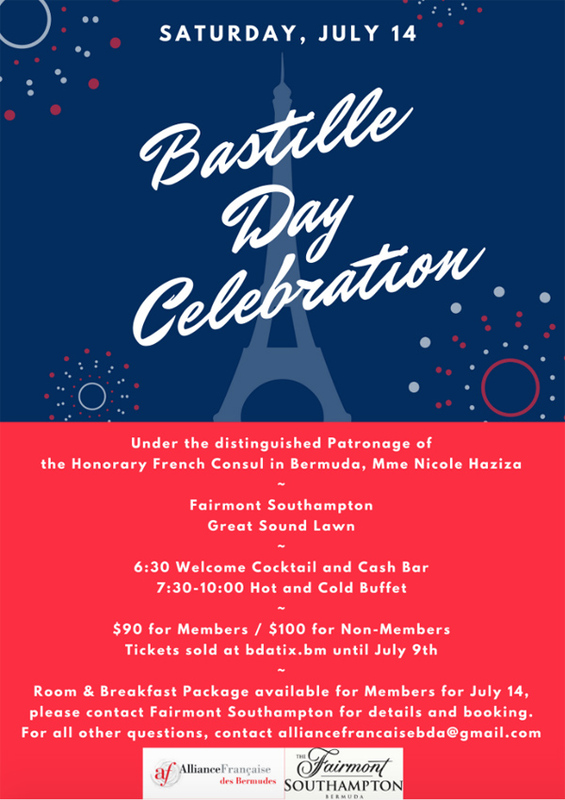 “All members of the public, francophones and francophiles are invited to join the Alliance Francaise des Bermudes to celebrate Bermuda/French style Bastille Day on the Great Sound Lawn of the Fairmont Southampton on July 14th with a complimentary cocktails at 6:30pm and dinner and dancing under the stars stars at 7:30pm. “Tickets: $90 for members; $100 non-members. Welcome cocktail included in the price and cash wine bar available. Proceeds from the event will go towards the annual scholarship programmes for Bermuda students to study French.